We may not always agree with decisions made by others, but we should always strive to work with those decisions. In some cases, this does mean finding ways to work without them. 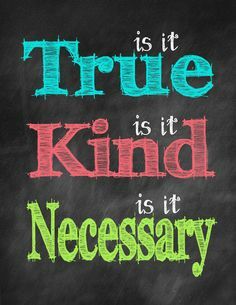 But if we always operate with integrity, passion, and kindness, our agreeing with others has little impact on our successes. People tend to always work for, buy from, coordinate with people they trust. This is especially true when choosing to recommend others. To be referred is the ultimate test of being considered trustworthy. Where trust is concerned, our ability to work with others is the lifeblood of our success. "I can have that to you by next week." ". . . just a second"
All of which you might be saying to others, yourself, or even your computer which is always slow to process whatever you're working on at the most inopportune moment. This process never ends as you map and plan out tomorrow's schedule. And planning is, of course, a good thing. In fact it's completely necessary - especially when it concerns our professional lives. But when our professional lives become so dependent on time that we have to make time for family and friends, maybe it's time to stop and reevaluate how you spend your time. Time for yourself: topping the charts, this may or may not include time with family and friends, but it definitely excludes anything even remotely work related. Stopping to smell the roses not only rejuvenates the body and mind, but it also allows you to reboot and take fresh perspectives for work, family, and personal activities. This also includes mandatory physical exercise of the body and mind nourishment such as reading books and listening to music OUTSIDE OF YOUR CAR! Time for your relationships: from the family and friend side, this is ensures that you're not a negative topic that others roll their eyes at or hide your posts in facebook. From the work perspective, your interpersonal relationships need to be nurtured to cultivate new ideas and conversation and not just talk about shared projects and upcoming meetings. If you're going to play golf for example, play golf; but just play golf. Time for work: this has less to do with filling in your Google calendar and more to do with following your passion. If you spend more time worrying about gaining or retaining clients and less time about the process of why your working with or for them, then you're wasting your time. Work should always be pleasurable, and if it isn't, then it's definitely time to find work that you can feel passionate about. Filling in a calendar can be easy enough, but realizing the delicate art of getting things done is more challenging and more rewarding. 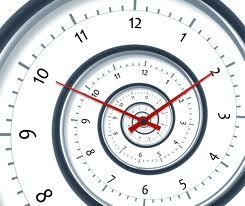 How do you find time to get things done?